A positive school culture is a mixture of strong personal relationships, beneficial social skills, effective role models, and clear expectations. Teachers and administrators alike work to establish and maintain a positive school culture throughout the school year. The benefits of such an atmosphere can be significant – increased instructional time, reduced discipline referrals, and empowered students, just to name a few. Many schools seeking to improve school culture have found success with PBIS. A school is a community, with a set of beliefs and expectations just like the larger community outside the school doors. The school staff communicates these beliefs and expectations to students through their actions as well as through school traditions and ceremonies. A positive school culture is one in which every student is encouraged to be the best version of themselves. Students in a positive school culture feel safe, supported, and ready to learn. How is Culture Different From Climate? It’s tempting to use the words culture and climate interchangeably. However, a school’s climate is the result of its culture. The norms communicated to students serve to set the tone for the entire school. School culture does the hard work, and a school’s climate reflects the results of these actions. Working to improve school culture can give many students an advantage they may not otherwise have. As school populations have grown more diverse across the country, imparting a sense of equality among differing cultures has become a challenge. But what are the elements of school culture? Physical safety – Students must feel safe from physical harm while at school. Social relationships – Staff should encourage positive social interactions between students as well as between students and staff. Emotional support – Emotionally supported students are more likely to have higher self-esteem. Academic support – From top-level learners to struggling scholars, every student should receive the support they need to be academically successful. Student success depends on the culture and climate of a school. Students who feel safe and supported are more likely to achieve academic success in the long term. Teachers are on the front lines of school culture. Their task is to support each student academically and emotionally, while also treating all students fairly. This is no small feat! In addition to lesson planning and instruction, teachers must recognize the strengths and weaknesses of each student in their charge. A single classroom may contain students from diverse backgrounds, and the teacher must meet each student’s needs for learning as well as providing emotional encouragement. Fortunately, a PBIS framework can make improving school culture easier. PBIS establishes a baseline for appropriate behavior, outlining interventions and supports for behavior that strays from this baseline. Unlike traditional punitive systems of discipline, PBIS focuses on recognizing positive behaviors. Struggling students receive a boost in self-esteem for appropriate behavior. These small victories build upon one another, from student to student, lifting the class as a whole. When implemented with fidelity, PBIS can profoundly change school climate. Refocusing discipline away from punitive measures and investing in teaching appropriate behaviors changes the way your staff and students relate to one another. The improved relationships between students and staff have a positive effect on the school as a whole. For those students with negative school experiences, PBIS can be a turning point in their academic career. However, for your PBIS framework to be effective, you must get buy-in from your staff. A PBIS program doesn’t have to be difficult to administrate. PBIS Rewards is a PBIS management solution that makes implementing a PBIS framework less labor-intensive than traditional paper token economy systems. This makes it easier to maintain your PBIS program for the entire school year. In fact, PBIS Rewards offers a FREE demo so that administrators and staff can see the features and capabilities of our software. 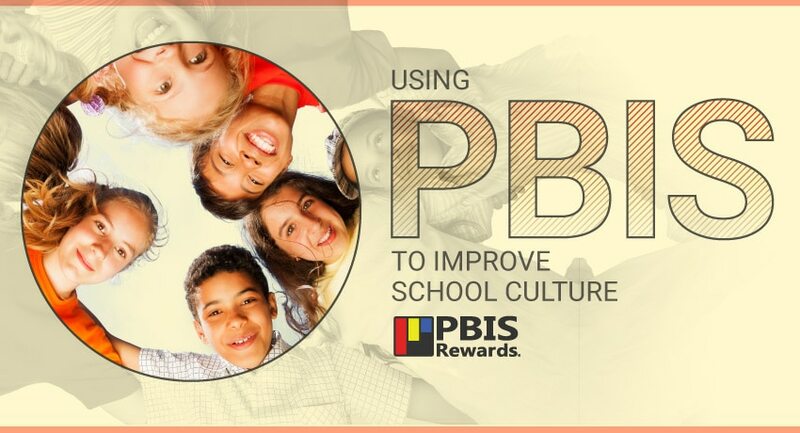 Learn how easy it can be to improve your school culture with PBIS Rewards!